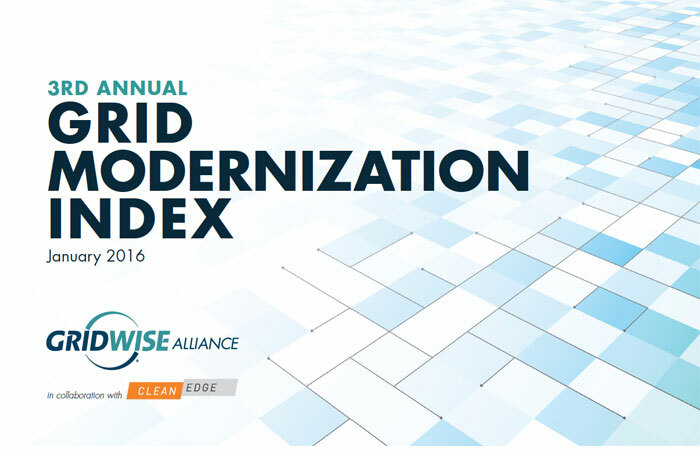 Published by the GridWise Alliance in collaboration with Clean Edge, the Grid Modernization Index (GMI) ranks and assesses all 50 states and Washington DC, based upon the degree to which they have moved toward a modernized electric “Grid of the Future.” The report also includes a foreward by GridWise Alliance CEO Steve Hauser and CEO Emeritus Becky Harrison. 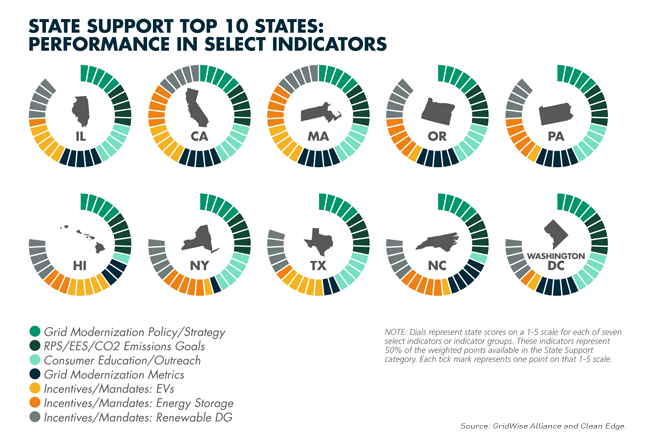 For the third time in a row, California is the highest ranked state, with a score of 88, more than six points higher than its score in 2014. 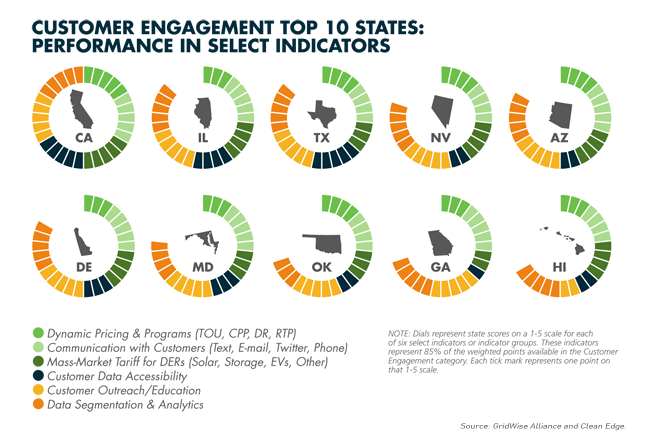 The state ranks first in the Customer Engagement category (as it did in the previous GMI), and second in both State Support and Grid Operations. 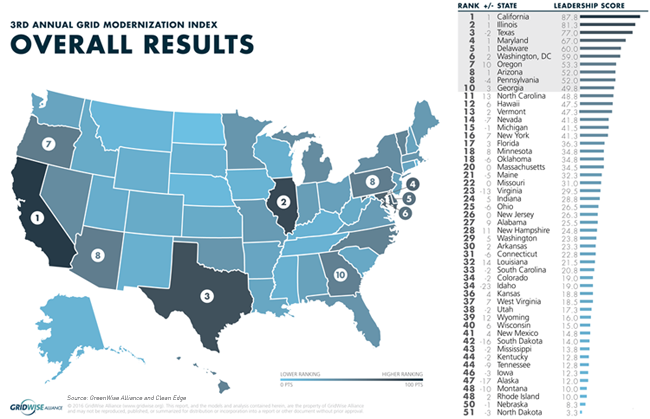 California has a nearly sevenpoint lead over secondplace Illinois, while Texas (which was neck and neck with California for the top score in the previous GMI) ranks third. 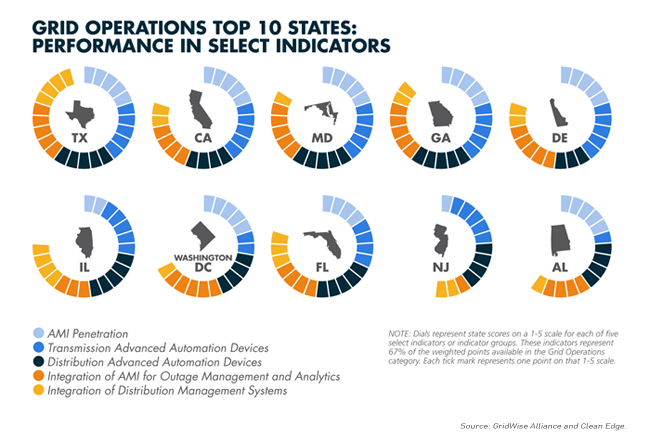 Maryland and Delaware (two of four states in the top 10 that lie fully within the PJM Interconnection territory) each move up a spot to fourth and fifth respectively. Rounding out the top ten are Washington DC, Oregon, Arizona, Pennsylvania, and Georgia. 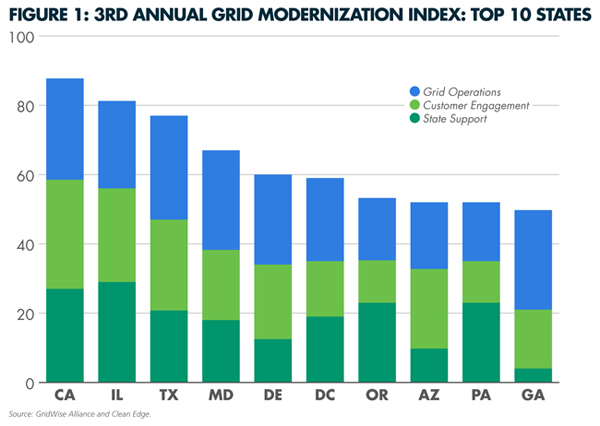 Based on survey data collected in June-October 2015, the 3rd Annual GMI benchmarks states on a wide range of grid modernization policies, investments, and activities. To carry out the data collection effort, the GridWise Alliance assembled a project team of a wide variety of individuals from utilities, industry leaders, consultants, and nonprofit groups who gathered data through phone interviews, email surveys, and other sources.